Oh my!!! Its almost time to start serious Christmas shopping on Black Friday and are you ready with all your searching and trying to figure out the best deal? I have some help for you that really works and with just a little pre-planning, you could save some serious money. One thing I really loved using last year was some great shopping apps to help me compare pricing and save money. Not only shopping for gifts but at the grocery store. Some of these can actually be used all year long. 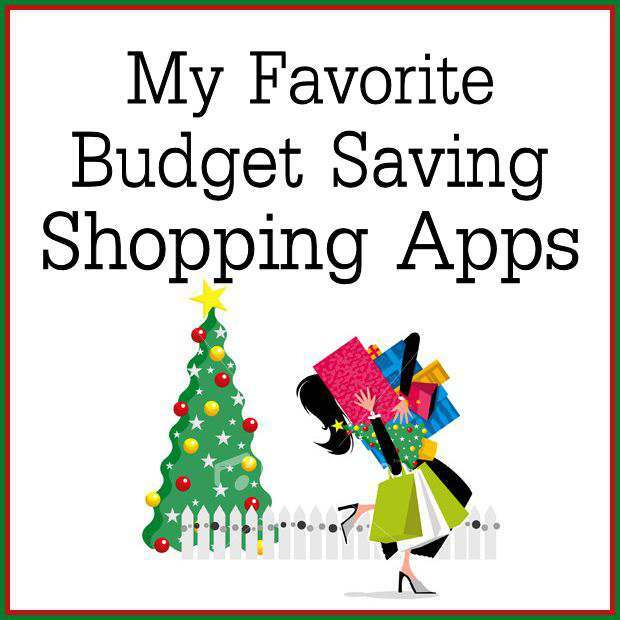 Here are a few of my favorite money saving apps and the link will take you to the website for more information. The apps may be downloaded from your devices app store. Shopsavvy is a really great app to use. Its your one-stop resource to save time and money and to get all the best sales from your favorite stores. BuyVia is for the shopper who is looking for the best tech deals at BestBuy this year. Smoopa gives you the go-ahead to buy in stores by letting you scan an item’s barcode and compare it against online prices. Bar-code scan your way to a deal with The Find. This app only locates nearby deals and what’s available online, limiting results to only what’s useful. PriceGrabber lets you search online stores for deals and compare in-store prices to online ones using a barcode scanner. Compare prices online and locally and read reviews of products with ScanLife. Walmart Savings Catcher is a feature of Walmart’s regular app. After shopping at Walmart, you can use it to scan your receipt and compare prices of some items against competitors’ advertised deals and get the difference back on a Walmart Rewards eGift Card. I love ibotta now that I have an iphone and it works great with groceries and other store items. My fav app is Favado and is great for holiday shopping and the grocery stores. It compares the store sales in my area very well. What I love about using the app is when I checked for a sale at Publix and Target, it not only compares sales but there is a paper clip that shows you where to find coupons. Ex: Barilla pasta on sale for $1.59 BOGO at Publix and then it showed me the coupon to go with it to make both jars $.30! All on the same screen. I also noticed that the app showed a few more coupons that I could use compared to what I saw on the website I use for my weekly shopping trip to Publix. You can also have items sent to your email. This helped with printing or clipping more coupons. I think this will really help when comparing with CVS and Walgreens too. SnipSnap allows you to take pictures of your paper coupons instead of cutting them out and having a digital version of it on your device. What a great help that will be during the holidays. Never have to dig in your purse again for fly away coupons! Target Cartwheel is new to me. I don’t shop there often and I’m ashamed to say that because they have really good deals and let you stack coupons and I adore their $1.00 bins. So maybe with this app I will be sure to check it out more often. The app will help you with finding all the sales and what coupons to use in the store. RedLaser I have used and enjoyed. You can search for local deals, search ads, use code scanning for price comparison (my favorite part) and find out information about a certain product using the barcode. Just scan a code on a product you want to compare and you will see the stores in your area that offer that product and how much it costs. TECHY NOTES: Some of these apps are optimized for say the newest iphone or Android devices and you must have a camera feature to use all of these. Be sure to click on the link of each device to find out more information and if your device works with these apps. What is your favorite saving app? Great apps! I recently started using the Walmart Savings Catcher and I saved over $25.00 in the first two weeks. I love a good saving app! What an awesome list! Some of those apps are completely new to me and I’ll have to check them out. Have you tried Saving Star, Checkout 51, Snap, Shopkick, or Receipt Hog? I have been using them for awhile (except Snap that ones new) and really like them. I love shopping apps. Even when I go to the grocery store. I think Ibotta is one of my favs. You don’t realize how much you would use it until you download it. I think I need to get a smart phone! Thanks for linking up to the Bloggers Brags Pinterest Party! I’ve pinned your post to the Bloggers Brags Pinterest Board.